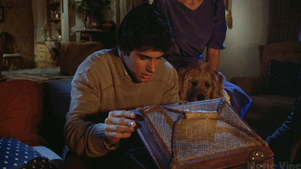 Zach Galligan, as his character Billy, quite possibly received the best Christmas gift in the history of gift giving when he unwrapped a box containing a sweet little mogwai named Gizmo. It has been almost thirty years since we were introduced to Zach, Gizmo and the gremlins as Steven Spielberg once again opened up our imaginations to a world we had never dreamed of. Year after year families sit down around the holidays to enjoy the timeless story of boy meets pet, boy doesn’t follow the rules of said pet, and the entertaining chaos which ensues in the form of little green troublemakers. Join us as we discuss creatures, acting, horrors, rules and more with Zach as he prepares for Fandomfest in Kentucky this weekend. MV: Welcome to Movie Vine, Zach. MV: To begin let’s talk about Hatchet III. How did you become involved with the latest installment of Adam Green’s intense slasher trilogy? Zach: Well I would say that Adam and BJ McDonnell, the director, were sitting around thinking about who would be kind of fun to cast in the part. And, I think that they kind of came up with my name. So basically I received an email out of the blue. I didn’t really know anything about the Hatchet series, or Adam, or anything really because I wasn’t paying that much attention to the horror genre for awhile. I was focusing on other things, and teaching, and whatnot. So I was kind of startled by it, but then they had attached the script too. I read the script, and I thought it was a really good part. I thought it was a really fun character. I just kind of liked everything about the project. I didn’t have much notice, I had about ten days, but I jumped aboard anyway. MV: Before going in were you aware of the gore aspect of it all, and if not did you expect it to be that much? Zach: Well I saw clips of the first two so I certainly knew what to expect. MV: (laughs) So you knew what you were getting yourself into? Zach: (laughs) Oh yeah, I knew what I was getting myself into. So, I wasn’t really that surprised. Although when you are on the set and the blood is geysering everywhere it is kind of amazing. MV: That is probably one of the goriest series I have ever seen. But, it’s fun to watch. The suspension of disbelief as you get drawn into Victor Crowley’s world. To sum it up, it’s an enjoyable ride. MV: Even though you didn’t have a lot of time to prepare, how did you bring Sheriff Fowler off the page and beyond his badge? Zach: I don’t know if I brought it beyond the badge. But, I think what I did was I kind of pictured myself playing the role, and I thought “no one is going to believe me with my Northeastern persona as a Southern sheriff”. If I had just shown up and played it straight like me it would be like “what’s the Eastern guy doing down in Louisiana?”. It doesn’t really make much sense. Caroline Williams was cast and she was from Houston. Houston, for me, is really a pretty easy accent to do. That kind of East Texas accent. So I decided that rather than do the Cajun one, which is a lot more complicated, that I would just kind of make a little back-story that she and I had been married. We were living in Houston, we both moved to New Orleans, which is really only a few hundred miles away, and that’s why I was a character that kinda (in a Southern accent) “talked like this”. Once I figured out her and my back-story then it made a lot more sense who this guy really was. MV: And, then everything just kind of fell into place from there? Zach: Yeah. I knew a few people from Houston that I could use as models for the character. Then it became much more about modeling myself after those actual people. MV: Well even though this is a horror movie there are a lot of extremely intense and emotional scenes throughout. How important is it to play those moments as real as possible even though it might be this fun campy horror movie? You know, to just put yourself in your character’s shoes, in the actual moment, and play it real. Zach: Well, I think the number one rule for comedy is that you, as the actor, can never be in on the joke. Then it’s terrible that you’re winking and nudge-nudging as you are doing it. The funniest comedy is when the people are completely unaware of how absurd the situation they are in is. So whether I’m doing comedy or drama I’m always playing it straight. Because generally the character isn’t aware that he is in a funny situation. MV: That is so true. He is in the moment. What was your experience like filming in the swamps? You were actually in Louisiana in the middle of summer, right? Zach: Yeah. It was hot, thunderstormy, buggy and brutal. I mean it was really gross. It was a very very tough shoot. Physically speaking. And, I think everyone sort of got burnt out very quickly on it. I couldn’t imagine doing that for seven, eight or nine weeks. I think people would probably go out of their mind. MV: Did you have any run-ins with unexpected wildlife? You all were probably having to deal with alligators, as well as bugs, and all sorts of things. Zach: Yeah, there were definitely some gators around. There were some warthogs, or wild boars I guess you would call them. MV: Oh those are dangerous! Zach: Yup. The scary thing is that you would walk out of your trailer, up the path to the set, and as you would walk up towards the forest you could shine a flashlight into the forest and all you would see looking back at you were just eyes everywhere. Up in the trees, down on the ground, it was just crazy. MV: (laughs) That’s creepy! So there really wasn’t a whole lot of acting when you’re standing in the middle of the swamp kind of pretending to be scared when you actually have something looking back at you from behind the trees. A little bit of that fear would be real. Zach: Yeah. There was a clearing that they had done so they had a snake wrangler go in at the beginning of shooting every night, and whack tree limbs to make noise and get the wildlife out of the filming perimeter. So that filming perimeter was actually the safest place. It was when you wandered outside of the perimeter, and back to your trailer, when you would come across armadillos in the middle of the road and whatnot. MV: So you always had to watch where you were walking. I noticed the film received a lot of press saying it was a great throwback to the old slasher films of the 80s. Do you have a favorite horror film from back then? Zach: Well I would say that the greatest horror movie ever made was The Thing by John Carpenter. So it had a little bit of that throwback feeling because we were using actual creature effects instead of CGI. That was refreshing and nice. But, you know, that’s kind of the only way I’m used to doing it after being on Gremlins, and WaxWork, and stuff like that. I’m not used to working with CGI. So it seems perfectly normal and natural to me. MV: It makes it easier for the actors, and even the audience. Like you mentioned with Gremlins, I 120% believed that Gizmo and the gremlins were real. 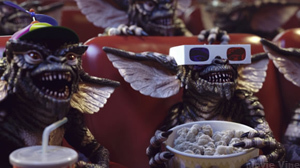 Next year marks the thirtieth anniversary of Gremlins, do you have anything special planned? Zach: I don’t have anything special planned, but I have tentatively started writing a book about the making of the film. So maybe if I can finish that by Christmas I can have it out on the shelves. It might be something fun for fans to read. The definitive account on what it was like to make those movies. MV: That’s awesome. I absolutely think you should. 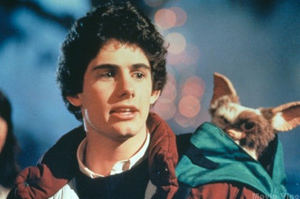 Was Gremlins both your first film and first starring role? Zach: It actually was my second film. I did a movie called Nothing Lasts Forever which was a very strange movie that you would probably have to do a lot of research on. But, the short version is it was done by Saturday Night Live producer Lorne Michaels, and was directed by Tom Schiller who was also the writer. It had me in the lead, Bill Murray, Dan Aykroyd, Imogene Coca, and a bunch of amazing people. It was so strange. It was shot in black and white and color so unusually difficult to market. It never really actually came out, but it does show on TBS and Turner Network television sometimes late at night. MV: So when you were first starting your career you were just kind of thrown in with all of the greats. Zach: Yeah. It was pretty crazy. I basically went from total unknown to working with all of these amazing people in about nine to ten months from when I started. Within less than a year, I was doing the leads in movies and Broadway working with Neil Simon, and Steven Spielberg, and everything. All the first two to three years I was an actor. MV: Your whole life changed. Zach: The whole thing changed overnight. MV: What are some of the things you learned back then that you still use today either in acting or teaching that have stood the test of time? Zach: The fundamental basics of film acting are principles that I have lived with and worked with for the last thirty years. If it’s something that you would believably do in real life then you should believably do it in front of the camera. If it’s something that seems artificial and unreal to you then you need to stop that immediately. If you feel like you are acting or performing then you need to stop that immediately. You have to exist believably in front of the camera. You are just playing an imaginary character. It’s like an imaginary character played believably. MV: That’s a great way to put it because if you don’t believe it no one else is going to. Zach: The other thing is that bad acting is basically people doing the approximation of the human behavior, or the approximation of the emotion instead of the actual emotion itself. So a bad actor looks like he’s trying to cry or pretending to cry. A good actor is simply crying. That is what’s so difficult because you have to become so emotionally available that you can stand in front of sixty people, be focused inwards in on yourself, then someone puts the little clapboard in front of you and says “action”. You have to be able to make those sixty people melt away, and just connect to past or things in your life and relate to them. Use things like substitution if you can’t relate to the situation that’s happening to you. Right? If you’re doing a scene where your mother has died and you’re so sad, but your mom is alive so you’ve never experienced that then you’re going to have to substitute in place of your mother’s death. So a good actor would say to himself “I remember when my first dog died. How sad I was. How the dog was like a member of the family, and how tragic that was. I don’t know what it’s like to lose my mom, but I know what it’s like to lose my dog. It was brutal, incredibly sad, and even though they are not really comparable that’s the best that I can do in terms of a substitution so I’ll go with that.” Then as you’re talking other dialogue that’s relating to the situation in the movie you’re thinking about internal things that happened to you as a human, and laying that emotion over a different text. MV: So it pretty much puts you back to where you were when that happened. It brings up all of those emotions. You’re feeling exactly what you felt. And, then it relates to your character. MV: (laughs) That’s true. So basically with film acting as you are trying to make the crew disappear in a way you are kind of on a stage. The audience is the film crew standing there watching you. As long as you can be in that moment, and feel what you need to feel, then the acting can pretty much be the same for film or theatre. I mean for that particular aspect. Zach: Sure. I think that’s why athletes make a good transition to being in film. Someone like Dwayne Johnson (The Rock) was a football player and then he was a wrestler. When you’re an athlete you’re used to blocking out 70,000 people in the stands while you play football and focusing on the task that is in front of you. You’re blocking out everyone that’s in the stands and just focusing on the football that is being thrown to you, catching it, turning around, running into the end zone, and sometimes you’re on television. You’re used to being in the spotlight all of the time, having one chance to do something, and having to perform it under pressure in front of people. And, that’s very much like film work. Except the nice thing about film work is you know you can do it ten, fifteen, or twenty times like that. You know? Try and win the game twenty times, and if you fail nineteen it doesn’t matter. You only have to get one for it to be correct. MV: Would you mind talking about some of the ways you’ve seen your students thrive from participating in an acting class? And, how important it is to give those creative opportunities to students especially now that so many schools and universities are dropping their creative programs. Zach: Well one of my students just booked her first national network commercial for Dannon yogurt. So that was awesome. What was so great about that was she had not really taken any film training so she had only been studying with me a month. So four weeks from learning how to act in front of a camera to booking your first national network commercial. There are just key things that these actors need to learn. If they don’t know them they literally will fail. If they do know them they have a much greater opportunity to succeed. So I think that the training is absolutely essential. If it would have to be at a university level or not I don’t know. But, I know that the training is definitely essential. The idea that these kids are going to drama classes and then going out and trying to make it in film and television without any film and television training is insane. MV: Do you also teach independently or just through the university? Zach: I’ll do privates here and there, but I basically just work through NYU right now. I tend to have so many classes during the week that I’m working, in the Summer especially, sometimes four and five days. In the Spring and the Fall I only work three days a week because the drama students have Tuesdays and Thursdays for their academic classes. So a lot of times in the Fall I’ll have like four sections of between eighty and ninety kids. That’s a lot. That’s a lot of kids to try to teach in sort of a one-on-one basis. Because I try and teach one-on-one with each one individually in front of the entire class. Each person will step up and have ten or fifteen minutes with me in front of nineteen or twenty of their peers. What’s so funny is that they always say that they are so nervous about it. They aren’t nervous about getting up in front of me, they are nervous about getting up in front of their fellow students. MV: This weekend you’ll be attending Fandomfest in Kentucky. What are a few of your favorite moments you’ve had meeting fans at conventions? Zach: I would say that the overwhelming thread of positive feeling that runs through these conventions is this: I can never fully grasp, or believe, how many people have seen some of the films that I’ve done. How much it was such a part of their childhood and growing up. How it touched them. And, how in a weird way, even though I’ve never met these people, they had some sort of connection to me and felt like I was part of their life and their childhood. That’s like a very very cool and very very odd and strange feeling. You know? It just is. To look back and realize “Wow, I was kind of a part of pop culture back then”. Or, at least that’s the way that they viewed me. So that’s really pretty wild. And, I have to say the older I get the more gratifying it becomes. Because it’s always nice to feel like somehow you’ve left a mark on both entertainment a little bit, and on people’s lives a little bit. MV: Last question there are rules for mogwai, and rules for slasher movies, so what three rules are the most important for you when trying to survive a convention? Rule number one: Never let anybody find out what your room number is. MV: (laughs) Oh my gosh! You’re like “Give me a minute and then we can talk outside”. Zach: For me, rule number three is to always bring extra photos of me and Gizmo. Those are the ones that always go faster than any other. MV: Yeah, of course, sweet Gizmo. Well thank you very much for hanging out with Movie Vine, Zach. Zach: I appreciate it. Thanks so much for listening. *Be sure to follow Zach on his official Twitter @zwgman. Hatchet III will be released on DVD and Blu-Ray on August 13th (now available on VOD). 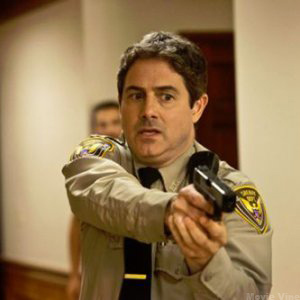 Comments for Leaving a Mark with Zach Galligan are now closed.